When Coca-Cola offered the first retail coupon in the 1880s, customers were thrilled. But today, one in four American shoppers will buy something only if it's on sale, and almost half of all merchandise carries a promotional price. The relentless pursuit of deals has totally disrupted the relationship between buyers and sellers. In this playful, well-researched book, journalist Mark Ellwood investigates what happens to markets when everything's negotiable. Americans love a bargain, and our passion for a good deal has sparked a paradigm shift in the retail industry. 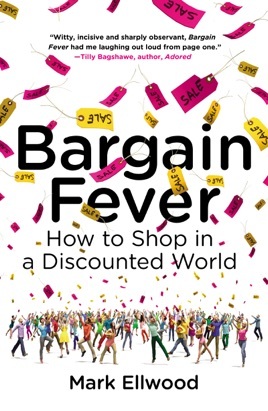 Journalist Ellwood offers surprising statistics that indicate that bargain shopping has become a permanent way of life. As a result, businesses have to operate differently, even those not traditionally associated with discounts. Buyers are informed, expectant, and entitled, and they hold all the power. Ellwood calls this new buying reality Shopping 3.0, and explores the effects of dopamine on the brain and the hormonal buyagra resulting from successful customer s experiences. While stereotypical bargain hunters may be low-income consumers, Ellwood shows that the wealthy are not immune to the thrill of a deal. He examines the Groupon phenomenon, yo-yoing air travel fares, J.C. Penney s disastrous Every Day Prices policy, and the emergence of super-fakes counterfeit luxury items almost identical to the real thing. While Ellwood discloses intriguing tidbits about how American s shop, he also explains the vastly difference purchasing habits of the Chinese, Germans, and Japanese. Well-written and illuminating, Ellwood reveals the implications bargain shopping holds for American retailing not just in the present, but for years to come.